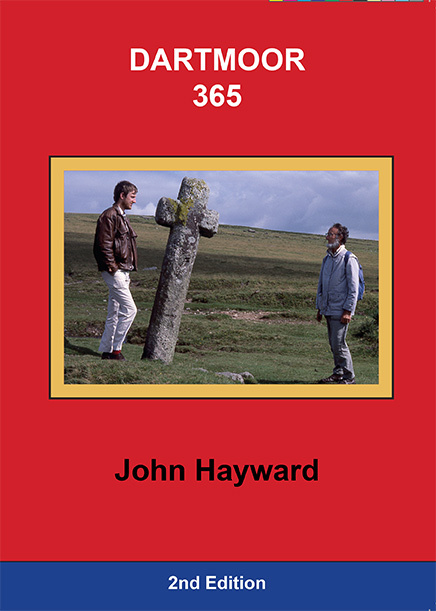 The coincidence of there being 365 days in a year and—in 1990—365 square miles in the Dartmoor National Park was the acorn that grew into the oak tree of exploration that resulted in this book. 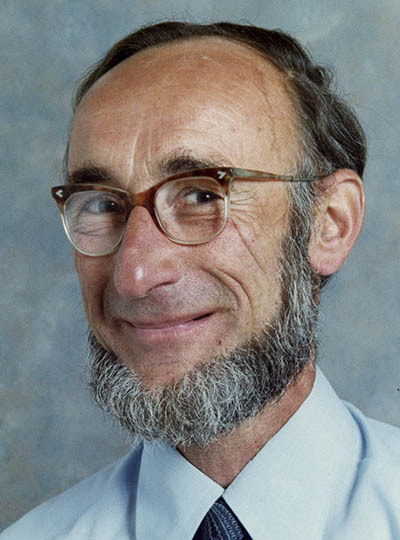 It must also be admitted that the satisfaction of collecting things, and of knowing that a complete collection was easily attainable, spurred me on and made the visiting of every one of those square miles a labour of pleasure. 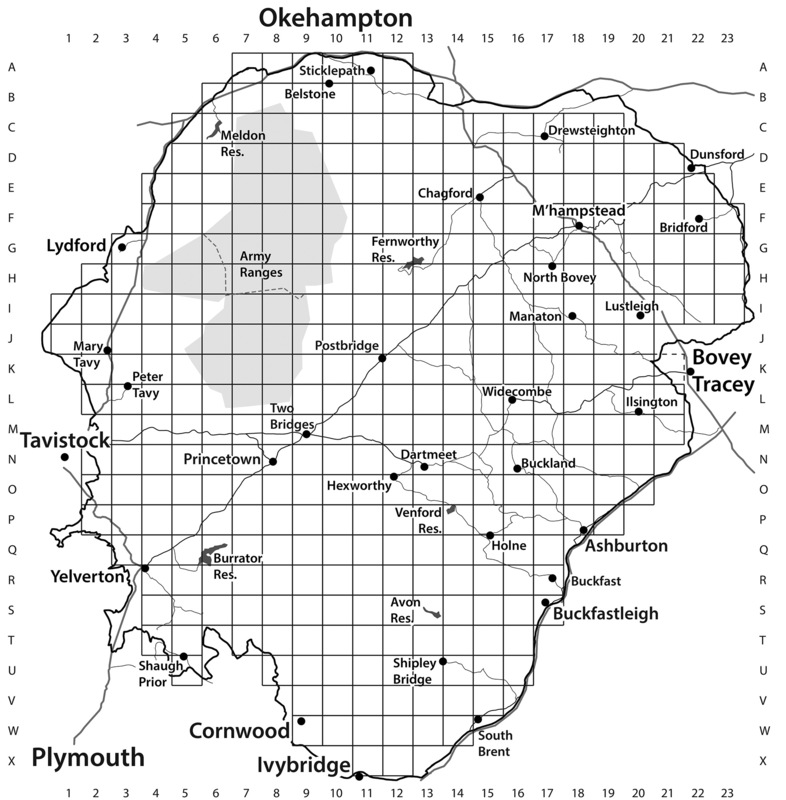 Since 1991 there have been many changes to Dartmoor, not the least of which is that it grew to over 368 square miles. The Moor however is essentially the same, car parks may no longer all be free, people move on, but the tors, kistvaens, mines, reservoirs, stone circles—and so much more—remain. This book divides up the Moor into 365 individual square miles and identifies a point of interest on every single one (well, with one exception). 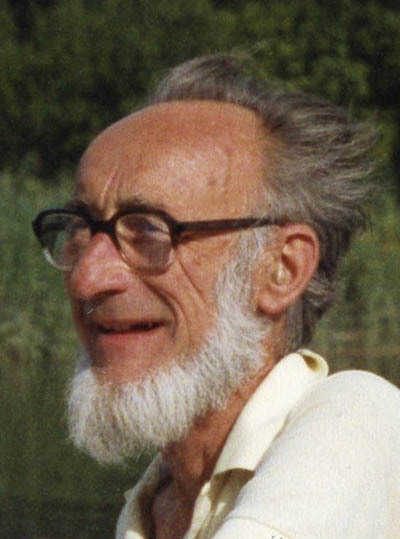 There are drawings, verses, tales of heroes—some lucky some not so—you'll learn history, geology and botany. Each page is dedicated to a single square mile with a grid reference to give you a fighting chance of finding the items. 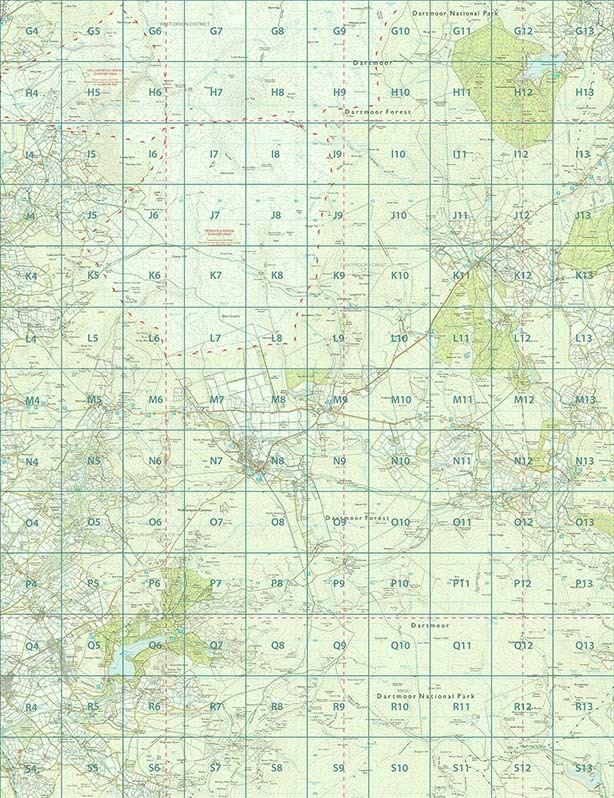 Although there is a map to colour in the squares once you've found the items, this is not a book to simply check boxes: thus grid references are only 6 figures and occasionally you'll need to do some hunting; this is deliberate so that whilst you meet the Moor—or, as is normally the case, a Moor's mire meets you over the top of your boots—you'll come to love it. 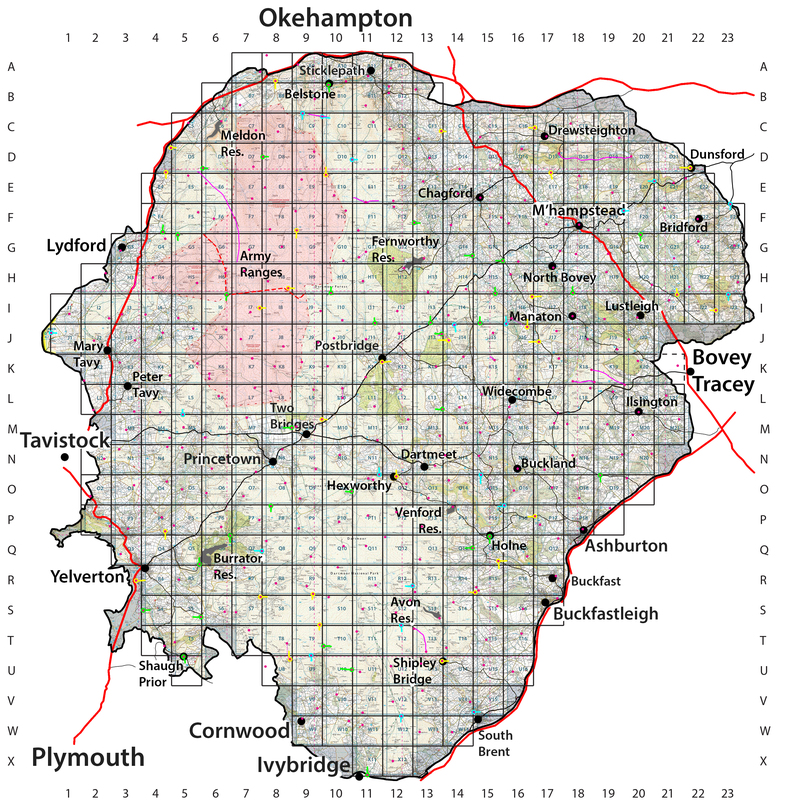 The left map has the Facebook Dartmoor365 map as a background with the image used in the book overlaid as there is a slight offset. Also the left version shows the actual locations of the items of interest. If they are coloured that means they are very near or over the border, with a line showing which square they actually belong in. 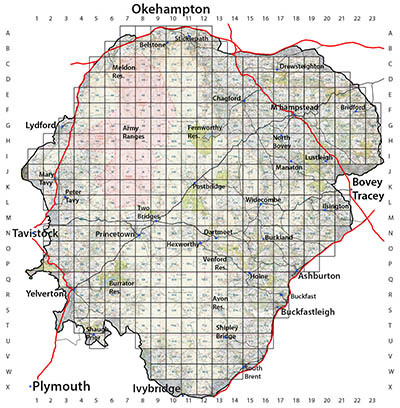 OS maps with the grid printed are occasionally available through the Facebook group.